Timely decisions play a vital role in deciding the route for the success of an organization. However, the decision making workflow is often affected by inefficient practices and manual procedures for request-approval-implementation cycle. In order to take critical decisions, organizations often follow a hierarchy of approvals to ensure that new implementations are in-line with the corporate policies as well as regulatory compliances. This process of making a new decision is backed by a chain of paper-based documents that are circulated through the organizational hierarchy. This manual paper-based procedure on request-approval is not just error-prone and inefficient but also creates setbacks affecting productivity and work efficiency of organizations. Scenarios such as missing or misunderstood documents, accidental disclosure of confidential information, missed deadlines, or misplaced documents are not uncommon in any organization following paper-based internal processing. Reliance on such a paper-based communication may lead to potential breakdowns due to correspondence issues leading to a state of conundrum and mismanagement within the organization. In addition to paper-based communications, some organizations also rely on the old-school method of communication via e-mail attachments. Circulating forms created in Excel, or Acrobat to gather some information about project quotes, tender pricing, or an expense report is a common sight in organizations. These practices are also not free from errors. Missing attachments misspelled manual entries, and long hours lost in the manual compilation of the information gathered from different recipients are some overheads imposed by e-mail attachments used to gather information to assist in the process of request approval. In order to get rid of all these issues, some organizations often switch to IT-solutions developed by an in-house team of dedicated staff equipped with IT-skills. Although a successful implementation of such an in-house developed system may provide an effective solution for the organizational practices can be fabricated into the functionality of the software as per requirement of the organization. Implementation of such a solution comes at a cost. First, the organization must have a staff with the required skill set to take up such an endeavor. Secondly, the cost and time involved in implementing such a system play a critical role in deciding the appropriateness of such solutions. Sometimes, they are either too costly or require a long time for implementation. In addition to that, there are the overheads of maintenance, regular updates, periodic upgrades, and platform compatibility. A dedicated team needs to be maintained to look after any issues that may crop up in the system. All these scenarios of request-approval management call for a paperless processing system that can streamline the tasks associated with the request-approval cycle. Facilitating a tool to monitor the progress of a request in a request-approval cycle. Organizations can tailor the paperless workflow facilitated by Comindware Tracker as per their specific needs. This saves organizations from a lot of conundrum associated with the request approval process. Comindware Tracker provides an effective solution to manage request approval workflows. Subscribe For A 30-Days Trial Today! If you want to switch to a paperless office, subscribe for a risk-free 30-day trial of Comindware Tracker. Boost up the efficiency of your request approval workflow with the paperless processing facilitated by Comindware Tracker. Embrace paperless workflow and cut down on valuable hours wasted on paper-based old school practices. 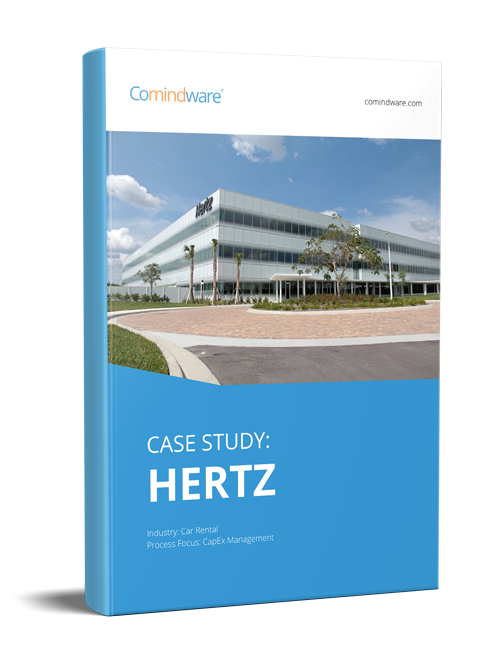 Turn setbacks into progress with Comindware Tracker. Reduce informational voids between different teams in your organization.